The water management charges for your unregulated river or groundwater licence can be billed under a 1 or 2-part tariff. This billing structure might act as an incentive for customers to have their water take metered or assessed. If you are billed under the one-part tariff, the entitlement charge is applied to your licence volumetric ML entitlement or unit shares. Regulated river licence holders are all required to meter their water usage and are billed under the 2-part tariff. 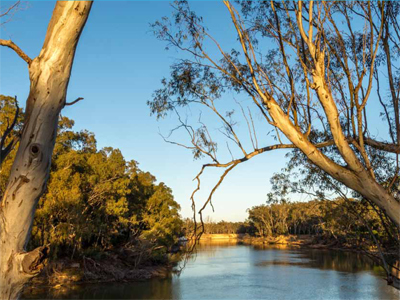 WaterNSW issues water bills in rural and regional areas of NSW. To apply for the 2-part tariff visit WaterNSW and complete and return the application form to WaterNSW. A determination will be made and you will be advised in writing if your application was approved. The 2-part tariff will be charged from 1 July of the year following the year of your application. This is to ensure that the full year water usage is metered or assessed. Metering your water take is the best way to determine how much water you used during the billing period and provide WaterNSW with evidence of your water use. Metering your water take will also provide you with accurate, real time information you can use to improve your water efficiency and achieve cost savings. Contact WaterNSW for more information.